Tullamore GAA Club was founded on 26 May 1888 and won its first title in 1890 when it defeated Banagher in the final of the Offaly Championships (football). Its club colours were initially red and green, but inspired by the 1916 Rising, the club changed its colours to green, white and gold in 1917. In the early 1920s, Tullamore gave the county team the right to wear the tricolour as the county colours and adopted the blue and white colours which are still used today. Having played in rented fields at Church Road, and then Tinnycross, the club acquired land at Ballyduff Park in the 1910s. In 1932, it developed a site on the Arden Road and in 1934, O'Connor Park was opened. Following the decision in 2001 to let Offaly County Board lease O'Connor Park, O'Brien Park was developed for use by Tullamore GAA Club. Founded probably in the winter of 1887/1888, King's County (Offaly) GAA County Committee, met in a hotel in Birr on 6 March 1888, to arrange for the holding of championships in hurling and football. The county committee became known as Offaly County Board over time, and is responsible for Gaelic games within the county and for selecting inter-county teams to play in the national championships. Offaly GAA Southern Committee was a sub-committee of Offaly GAA consisting of delegates representing Banagher, Belmont, Birr, Clareen, Coolderry, Cloghan, Doon, Drumcullen, Eglish, Erin's Own, Ferbane, Kilcormac, Killoughey, Kinnitty, Lusmagh, Seir Kieran and Shinrone clubs. North Offaly GAA was a sub-committee of Offaly County Board consisting of delegates representing Ballinagar, Ballycommon, Ballycumber, Bracknagh, Clara, Cloghan, Clonmore, Cloneygowan, Edenderry, Durrow, Geashill, Gurteen, Killeigh, Knockballyboy, Philipstown (Daingean), Rahan, Raheen, Rhode, and Tullamore clubs. 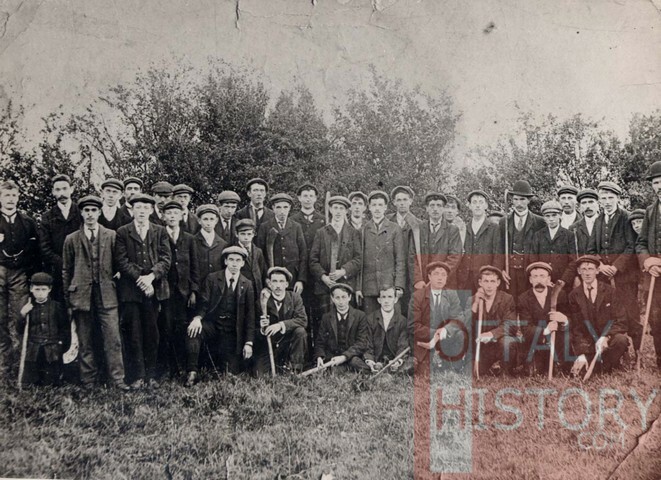 Gaelic games were introduced to the Ballinamere area in the late 1880s and an official club was established in the early years of the 20th century. 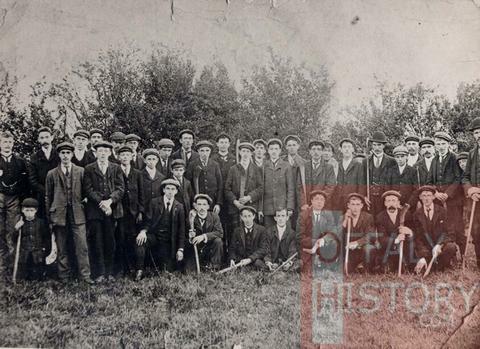 In 1909, Ballinamere players amalgamated with Tullamore to field a team which won the first hurling championship for North Offaly. Following a decline in the participation of the sport in the area in the succeeding years, it underwent a revival in the 1930s and the club exists to the present day. Donated by the family of the late John Clarke, a writer/reporter with The Leinster Express and a well-known GAA historian. Available by appointment only. Fragile items may not be produced. Copyright of Offaly History Archives. May be reproduced in accordance with provisions of the Copyright and Related Rights Act (2000). No reproduction online, in print or broadcast without express permission of copyright holder.